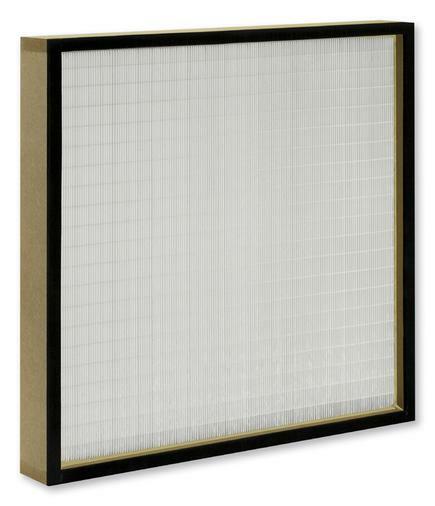 Mini Pleat filter panels MFP for the separation of fine dust and suspended particles such as aerosols, toxic dusts, viruses and bacteria from the supply and extract air in ventilation systems. The filter media are made of high-quality, moisture-resistant glass fibre papers, with spacers made of thermoplastic hot-melt adhesive. 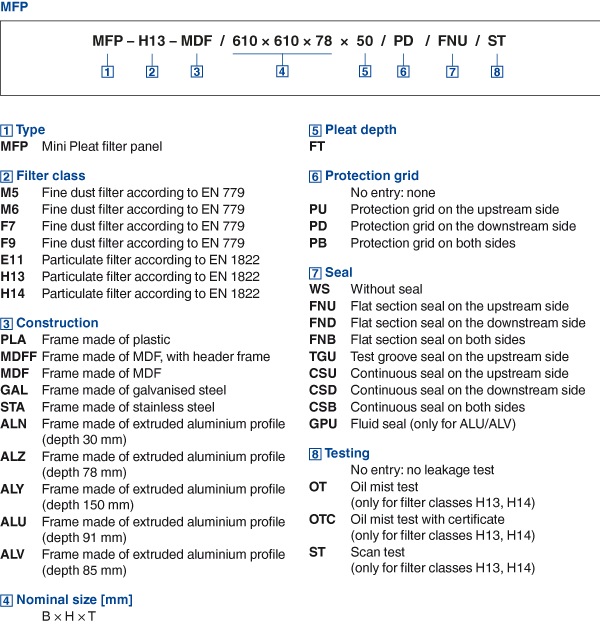 Mini Pleat filter panels are available in standard and special sizes, with different pleat depths, filter classes M5, M6, F7, F9, E11, H13, H14. Depending on the frame design, Mini Pleat filter panels are fitted with no seal, with a flat section seal on the upstream side, or with a fluid seal. Some constructions are available with an optional foamed continuous seal on one or both sides, with a test groove seal on the upstream side, or with a protection grid, fitting as required. 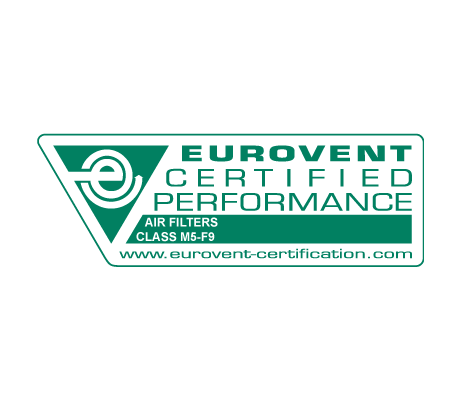 Mini Pleat filter panels used as fine dust filters are certified by Eurovent. 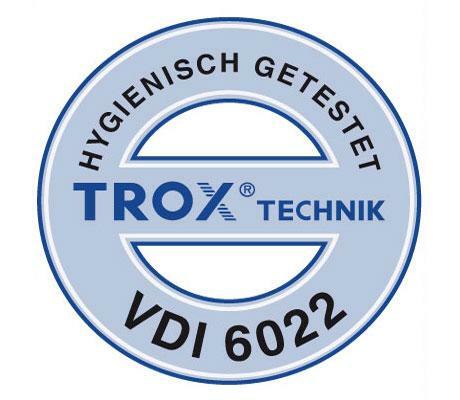 Constructions with a frame made of extruded aluminium sections meet the hygiene requirements of VDI 6022.